Abstract art can be a doozy. We'd be lying if we said we've never approached a daunting canvas buzzing with indiscernible colors, shapes and stripes and, on the verge of a panic attack, grasped for the nearest museum guide. It's hard to shake the nagging desire to solve the puzzle at hand, parse through the images and figure out what it all means. But, in our hearts, we know abstract art is no Sunday morning crossword puzzle, and should not be treated as such. On that note, we're diving in. Abstract art is a beast all its own, and as such requires our utmost attention, patience and imagination. "Abstraction is staggeringly radical, circumvents language, and sidesteps naming or mere description," Jerry Saltz writes in his wonderful manifesto on abstraction. "It disenchants, re-enchants, detoxifies, destabilizes, resists closure, slows perception, and increases our grasp of the world." And so it may, but how do we actually engage with it? We're taking it slow and attempting to navigate the perilous waters of abstract art one step at a time. Consider this a beginner's guide to a lifelong relationship between, you, art, and your spirit guide Jerry Saltz. Here are nine things to consider next time you approach a seemingly impenetrable work of abstract art. There's no code to crack. As human beings, we take pleasure in solving problems. While this is useful in many aspects of life, the realm of abstract art is not one of them. Take a deep breath and let go of the desire to align every brushstroke to a symbolic meaning, every color to an aspect of the artist's biography. While "getting" an artwork brings a momentary feeling of victory, bathing in its mystery brings enjoyment for far longer. 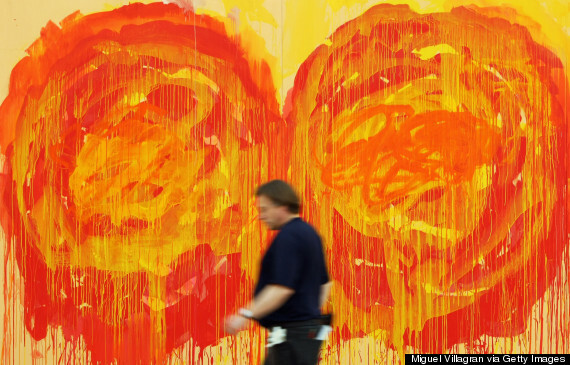 How long should you take to digest and fully experience a work of art? While the average time spent in front a museum artwork is around 30 seconds, truly taking in an artwork can take years. (Remember when Saltz said abstraction slowed perception?) Kitty Scott, director of visual arts at the Banff Centre, likened learning an artist's visual language to learning a new written one. "Over the years, you may see 20 works, and then you start to understand their language and what their subject is," she explained. Don't talk about your five-year-old. "It is not childish in form, for the child applies himself, presses down, rounds off, sticks out his tongue in his efforts, the child works hard to join the code of grown-ups. [Twombly] draw away from it, loosens, lags behind, his hand seems to levitate -- as if the word had been written with his fingertips, not out of disgust or boredom but out of a kind of caprice open to the memory of a defunct culture which has left no more than the trace of a few words." Now, could your child do that? Don't think of a picture, think of a thing. When we look at a picture, there are certain questions that immediately come to mind. The simplest being, What is it a picture of? When you shift gears a little, you're free to open your mind up to the many questions that could make their way into your brain. What is this thing? What is it made of? What's its speed? Its texture? Is it peaceful or cacophonous, heavy or light, open or closed? These questions, unlike the first, have no definitive answers, but may help you locate a starting point from which to navigate the artistic world before you. One easy place to start is color. 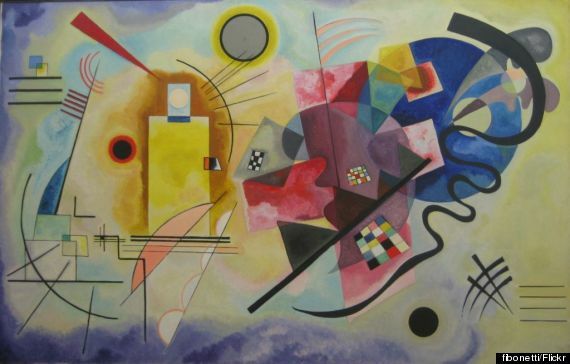 As Wassily Kandinsky, one of the first abstract artists, wrote: "Color is a power which directly influences the soul. Color is the keyboard, the eyes are the hammers, the soul is the piano with many strings. The artist is the hand which plays, touching one key or another, to cause vibrations in the soul." Perhaps start there. What colors do you see, hear and feel? If asking questions feels too much like a cross examination, focus on affirmative statements instead. It may sound cliche to think about how the painting makes you feel, but the sentiment isn't actually too far off. After all, abstract artist Agnes Martin did say "Abstract art is the concrete representation of our most subtle feelings." In his book "Pictures and Tears" James Elkins perused a guest book at the permanent display at the Rothko Chapel. From reading the visitor comments, one would expect the viewers had just witnessed a supernatural event or a religious epiphany rather than sat before an artwork. Comments ranged from "This makes me fall down," to "The silence pierces deeply, to the heart. Once more I am moved -- to tears." Sometimes asking questions only proves to be a distraction. That being said, don't stress about getting emotional. We know few things are more frustrating than watching a fellow museum-goer weep uncontrollably in front of an artwork you think is just okay. You don't have to love or even like every piece. Don't be afraid to move on and find one that speaks to you. Here's the part where you get a clue, if you're so inclined. While the title will not, and should not, explain the piece, it could illuminate an aspect of it or an angle from which to view it you hadn't noticed before. Let the work's verbal and visual components bounce off each other, and harmonize. You may not get closer to understanding, you may even wind up more confused. It's all part of the process. Also, you could wind up with an untitled piece. Along with the work's title, knowing the era and geographical origin of the artwork will also help acclimate you to the atmosphere from which the piece emerged. To again quote Kandinsky, art and literature reflect "the dark picture of the present time and show the importance of what at first was only a little point of light noticed by few and for the great majority non-existent. Perhaps they even grow dark in their turn, but on the other hand they turn away from the soulless life of the present towards those substances and ideas which give free scope to the non-material strivings of the soul." What would a work like this say about the world from which it came? The essence may be so radical it couldn't yet be put into words. Remember, some artists don't even know, or care, what their work means. This is the part where you take a deep breath and fully accept the fact that you're working outside the realm of answers and explanations. Even the artists themselves sometimes don't dwell over why they're making what they're making. In a talk at MoMA, famed abstractionist Ellsworth Kelly was asked about his iconic "Chatham Series," which dates back to 1972. "It's hard to remember. I'm quite impressed with them now!" He said, gesturing to the works and sighing. "But it's always a mystery looking back." If Ellsworth himself is content to marvel at the mystery of his own works, there's no reason you shouldn't be also. There's an old art lovers' tale about an American soldier telling Picasso his artworks aren't close enough to life.  He pulls out a photo of his fiancee and says: "This is what a picture should look like." Picasso, in typical Picasso fashion, responds: "Your girlfriend is rather small, isn’t she?" Point being, all art is abstracted from reality, or else museums would take up a lot more space. Whether this assuages your anxiety or throws you into a downward spiral of panic is up to you. To again quote Jerry's infinite wisdom: "Abstraction is as old as we are. It has existed for millennia outside the West. It is present on cave walls, in Egyptian and Cypriot Greek art, Chinese scholar rocks, all Islamic and Jewish art -- both of which forbid representation. Abstraction is only new in the West." Abstraction was around way before your pretentious art school friend showed you his dot experiments and expected you to be impressed. This is where our brief foray into the wonders of abstraction comes to a close. While this short list may not help you understand your next trip to your local modern art museum, it may alleviate some of the pressure to understand it in the first place. What are your tips for approaching a work of abstract art? Let us know in the comments.